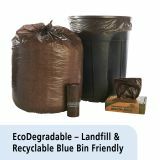 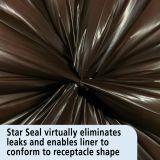 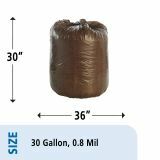 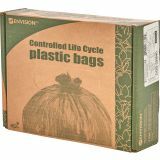 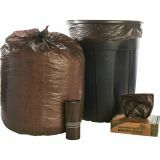 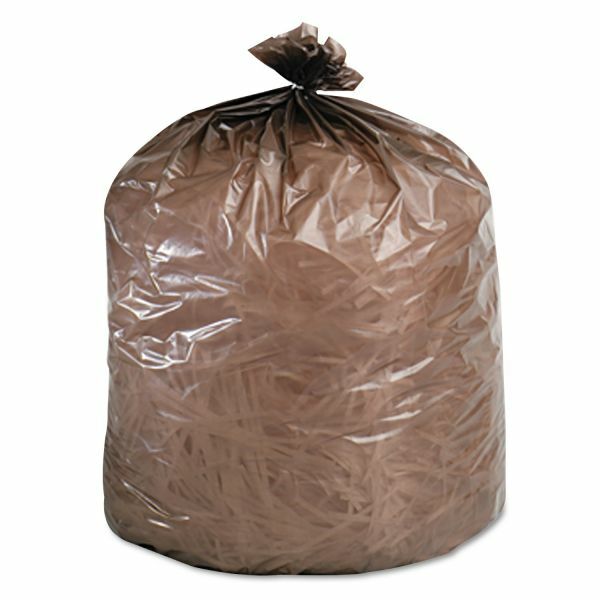 Stout Eco-Degradable Plastic Trash Bag, 20-30gal, .8mil, 30 x 36, Brown, 60/Box - Totally biodegradable bags are designed for waste destined for the landfill. 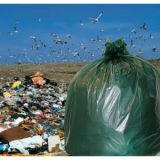 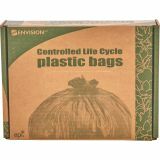 Biodegradable bags fully degrade when disposed of in commercial landfills and leave no harmful residues. 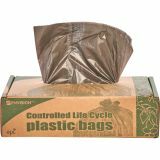 They degrade within 18 to 24 months and will biodegrade within 36 months with the presence of sufficient oxygen and microbial activity. 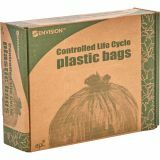 Controlled life-cycle plastics have similar performance properties of ordinary plastic bags except they are modified to accelerate aging in a process that safely returns the organic carbon, from which plastic is made, to the natural bio-cycle as a food source for microorganisms.